Across the globe, urban renewal is reviving often neglected parts of cities, unlocking under-utilised and disused areas for jobs, investment and housing. As Melbourne continues to grow and evolve, renewal and redevelopment of areas play a significant role in enhancing its liveability and competitiveness. To discover insight into the various urban renewal projects shaping Melbourne and beyond, the 9th Annual Victorian Major Projects Conference will be taking place on the 4th & 5th of September 2018 at the Melbourne Convention & Exhibition Centre, providing a forum for government and industry players to review prominent infrastructure and construction projects currently taking place within the state. This year, the conference will showcase major revitalisation projects such as the Arden Urban Renewal Precinct, Fishermans Bend and the Queen Victoria Market Precinct Renewal. Located on 55 hectares of land between Macaulay Road, Dryburgh Street and the Upfield Rail Corridor, in North Melbourne, Arden will be a global knowledge hub and central city destination, which will enhance Victoria’s international competitive advantage. It is designed to complement the neighbouring residential precinct of Macaulay, being planned by the City of Melbourne. Arden Station, being built as part of the Metro Tunnel, is due to open by 2026, making this the ideal location to expand Melbourne’s bustling city centre. Another major urban renewal undertaking, the Fishermans Bend is Australia’s largest urban renewal project covering approximately 480 hectares in the heart of Melbourne. Fishermans Bend will consist of five precincts across two municipalities – the City of Melbourne and the City of Port Phillip – and connect Melbourne's CBD to the bay. The VIC Major Projects Conference attracts close to 250 delegates each year and is an opportunity for delegates and representatives from within the construction and infrastructure industry to network, share and gain new perspectives, from a wide range of prominent speakers including Robert Fiske, CEO of the recently created Victorian Health and Human Services Building Authority (VHHSBA). 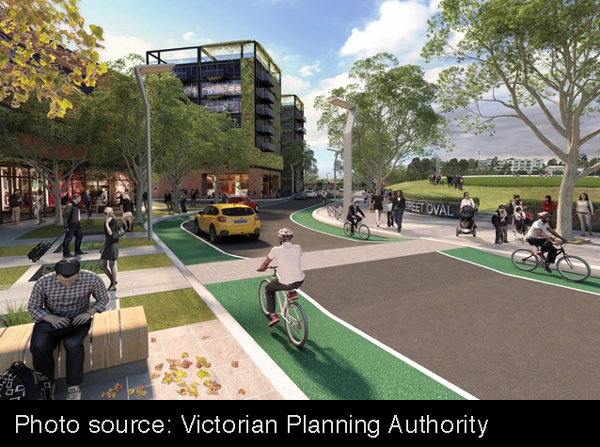 Other exciting projects on the cards for Victoria include the Melbourne Metro Tunnel, North East Link Project, West Gate Tunnel, GMW Connections Project, all of which will be showcased at the conference. The two day conference is an opportunity for industry leaders and government officials to share ideas on common challenges and acquire the latest information on major infrastructure projects shaping the development of Victoria. The 9th Annual Victorian Major Projects Conference is being held on the 4th & 5th of September 2018 at the Melbourne Convention & Exhibition Centre.